Three separate shipwrecks in the Mediterranean south of Italy in recent days are thought to have claimed the lives of more than 700 people, officials from the UN's refugee agency said. The information appeared first on the Twitter of spokeswoman at UNHCR South Europe, Carlotta Sami. “Sunday counting victims. Macabre exercise: will the world realize the over 700 people should have deserved a safe passage?” she wrote. She later told AP by phone that about 100 migrants went missing after a smuggler's boat capsized on Wednesday. One of the deadliest accidents took place on Thursday. At least 550 asylum seekers went missing. The boat, carrying about 670 people, left the Libyan port of Sabratha a day earlier and had no engine. It was towed by another smuggling boat, Sami added. At least 104 people managed to survive: 25 reached another boat and 79 were rescued by international patrol boats. At least 15 bodies of migrants were recovered. Italian police managed to identify the commander of the boat with the working engine with the help of survivors. They said he was a 28-year-old Sudanese man, who had already been arrested. In yet another accident on Friday, rescuers saved 135 people, according to Sami. Some 45 bodies were recovered. The exact amount of people on board is as yet unclear. The survivors were transported to the Italian ports of Taranto and Pozzallo, Sami said, adding that the UN is planning to speak with them and gather information about the sunken boats. UNHCR spokesman Federico Fossi confirmed the report. "The situation is chaotic, we cannot be sure of the numbers, but we fear up to 700 people may have drowned in three shipwrecks this week," he told AFP. 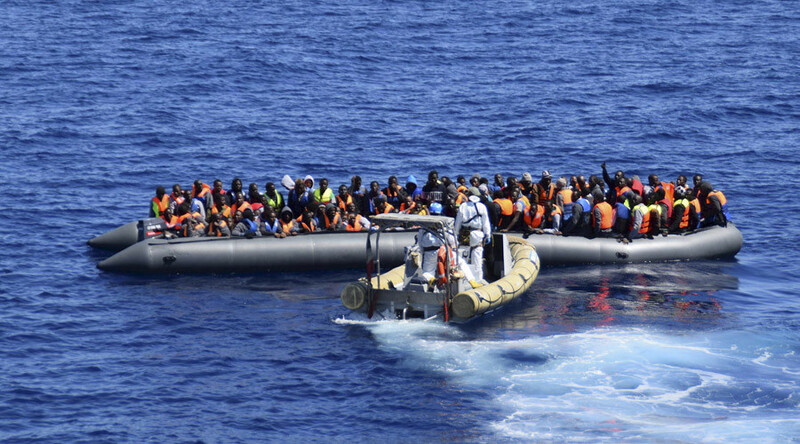 According to Doctors Without Borders, about 900 people might have drowned in the Mediterranean. “We see many victims of violence and torture among the people we rescue on our boats. Europe provide safe passage [to refugees],” the group said. The number of refugees trying to reach Europe across the Mediterranean is increasing rapidly. According to the UN’s International Organization for Migration Refugee Agency (IOM), an estimated 190,000 people have crossed the Mediterranean in 2016. Of them, nearly 156,000 came to Greece and 34,000 to Italy, with 1,375 people considered missing or dead. 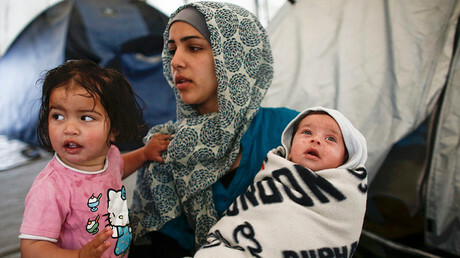 The unending flow of refugees and migrants to Europe is caused both by some contextual factors such as wars raging in the Middle East and some global macro factors that include growing inequality worldwide and an exploding population in Africa, professor Kees Van Der Pijl from the University of Sussex, UK, told RT, commenting on the situation in the Mediterranean. He also warned that the situation with refugees and migrants is on the brink of getting totally out of control due to some global socio-economic trends. “At some point, the objective situation as it is becomes almost impossible to manage and I think that we are in that situation. There is a massive surplus of population in the areas where it is no long possible to live a decent life and the people, who are displaced there are pushing towards Europe,” he stressed. Speaking about the causes of the crisis, the professor sharply criticized the NATO operation in Libya that has led to the toppling and eventually murder of the former Libyan leader Muammar Gaddafi. “As far as North Africa is concerned, removing Gaddafi in Libya was the most ill-conceived step that one could take in light of the flow of migrants from Africa. The first thing, the EU, NATO, etc. should have not done is to intervene in Libya,” said Van Der Pijl. He also criticized Angela Merkel’s welcoming policy by saying that her statements in fact encouraged lots of people to take the risky road in attempt to reach wealthy and hospitable Europe.